Oh, The freedom of Dance, to be Happy, independent and carefree. This print expresses these feelings. A beautiful print of a mixed media Collage that I have done. It measures 12cm X12cm, (4 3/4" )square. 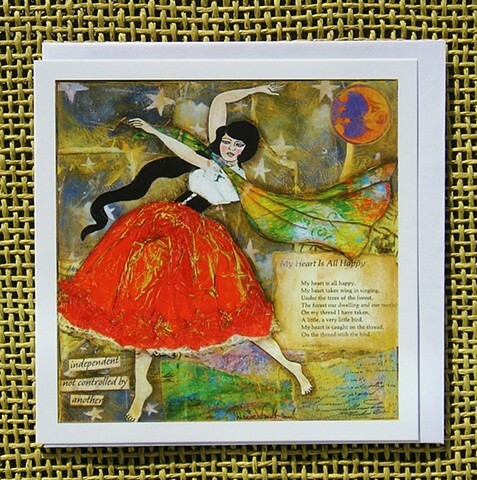 If you like This Art Card , You might like it's sister print,"Happy Heart"